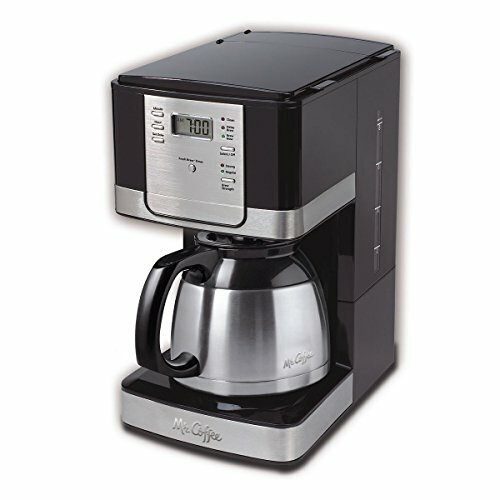 The Mr. Coffee 8-Cup Programmable Automatic Coffee Maker brings style, taste, and functionality together to create a rich blend that you'll savor for years to come. It features plenty of programmable options, like Delay Brew for coffee when you want it, or Grab-A-Cup Auto Pause for stealing a taste before the brew cycle finishes. And since coffee is all about taste, you'll be glad to know that the thermal, double-walled, stainless steel carafe is designed to retain the freshness and flavor of just-brewed coffee for hours.